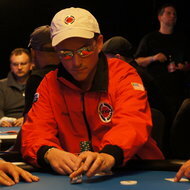 David Einhorn, the president of Greenlight Capital and a generous philanthropist, finished in 3rd place at the World Series of Poker yesterday and plans to donate his winnings ($4.35million!) to City Year. It’s always great to see (high quality) nonprofits supported such a sincere and unexpected public forum. Way to go, David and City Year!